The Immortal Touch was originally composed in 1952, though Part 1 did not receive its first performance until June 1975 at the Sydney Conservatorium of Music with Richard Gill OAM conducting the Conservatorium Symphony Orchestra and the Combined Choirs of the New South Wales Conservatorium of Music. The work was also recorded by the ABC with Patrick Thomas conducting the Adelaide singers and the South Australian Symphony Orchestra. For many of Hanson’s works for larger ensembles, the parts and scores are in poor condition and much of the material is still in manuscript form. This repertoire is housed in the archives of the Sydney Conservatorium of Music Library. The Immortal Touch is in two parts and Part 2 was not completed until just before Hanson passed away in 1976. The score is for soprano soloist, bass-baritone soloist, choir and full orchestra. The orchestral score is complete for Part 2 though the vocal score is incomplete. Both scores are still in manuscript form. The purpose of this research project is to analyse, edit and typeset The Immortal Touch Part 2 in preparation for a world premiere performance in 2014 with Dr Neil McEwan AM conducting the Sydney Conservatorium Choirs, Orchestra and soloists. This project will also overlap with the Hanson Symposium, which Assoc. 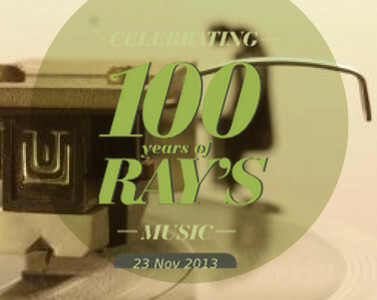 Prof Kathleen Nelson has scheduled in November 2013 to celebrate the centenary of Raymond Hanson’s birth. The project team consists of Dr Neil McEwan, Dr Joanna Drimatis and Ms Katherine Brittain. We will keep you posted with updates of this wonderful and exciting project and the performance as it progresses.